The "Healthy Parks. Healthy People." initiative is international in scope and recognizes that individual and community health is reliant on a thriving park system that is valued highly by the communities that it serves. Locally in Saratoga County, New York, we are blessed with limitless possibilities for outdoor recreation in our national, state and local parks and trails. We believe this abundance of outdoor resources is one of the reasons why Saratoga County is such a healthy place to live, work and play. We have the Saratoga National Historical Park. Here in the autumn of 1777, American forces met, defeated and forced a major British army to surrender. This crucial American victory in the Battle of Saratoga renewed patriots’ hopes for independence, secured essential foreign recognition and support, and forever changed the face of the world. Saratoga National Historical Park is actually made up of three sites, none of them physically touching the others: the Battlefield (in Stillwater, NY), Schuyler House (in Schuylerville, NY, about 8 miles north of the Battlefield) and the Saratoga Monument (in Victory, about 3/4 miles west of Schuyler House). The Park is about 3400 acres in size. The Battlefield is the largest of the three Park units, at about 3000 acres. Within the park, there are multiple opportunities for hiking, cycling, walking, and other healthy recreational activities for people of all ages. Moreau Lake State Park - The activities you can do here include: biking, fishing, hiking, swimming, hunting, ice fishing, snow shoeing, cross country skiing, and more. Moreau Lake State Park's lake lies amid hardwood forests, pine stands and rocky ridges. Shady groves of trees shelter picnic grounds and a pavilion overlooking the lake. Wooded campgrounds are quiet and secluded, offering facilities for group campers, as well as tent and trailer sites. Two pavilions, each with a 120-person capacity and a 20'x30' tent which can accommodate up to 75 people, may be reserved on a daily basis. The sandy beach, nature, hiking and cross-country ski trails, opportunities for boating, fishing and ice fishing, and proximity to the Saratoga Springs and Lake George areas make the park attractive to visitors. In the summer, beach lounges, beach umbrella and fishing gear can be rented. In the winter, snowshoes are available for rent daily. Peebles Island State Park - Peebles Island State Park is at the confluence of the Hudson and Mohawk Rivers. It offers spectacular river and rapids views for walkers and joggers who take advantage of the miles of paths through the gently rolling and wooded landscape. Picnickers and fishermen come to relax and winter visitors use the facilities to cross-country ski, hike and snowshoe. Saratoga Spa State Park - Saratoga Spa State Park, distinguished by its classical architecture and listed as a National Historic Landmark, is noted for its diverse cultural, aesthetic and recreational resources. In addition to the nationally-known Saratoga Performing Arts Center, the Spa Little Theater, the National Museum of Dance, the Saratoga Automobile Museum, the Gideon Putnam Resort and Roosevelt Baths and Spa, the park offers a multitude of traditional recreation opportunities. 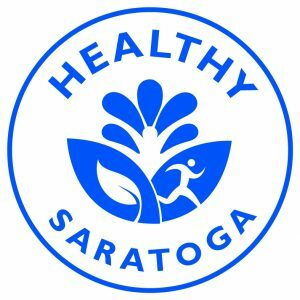 Saratoga County includes hundreds of miles of trails for hiking, running, cycling, cross-country skiing, horse-riding and more. There are natural trails and mountain biking trails. We're home to the Great Sacandaga Lake, Saratoga Lake, and the Hudson River adding to the recreational opportunities locals and visitors alike can explore and enjoy. Below are a range of local organizations that are working diligently to embrace the idea that our local parks, trails and open spaces can and should be used by those looking to live a more healthy lifestyle.